Bring a bit of South City with you wherever you go! Bring a bit of South City with you wherever you go! 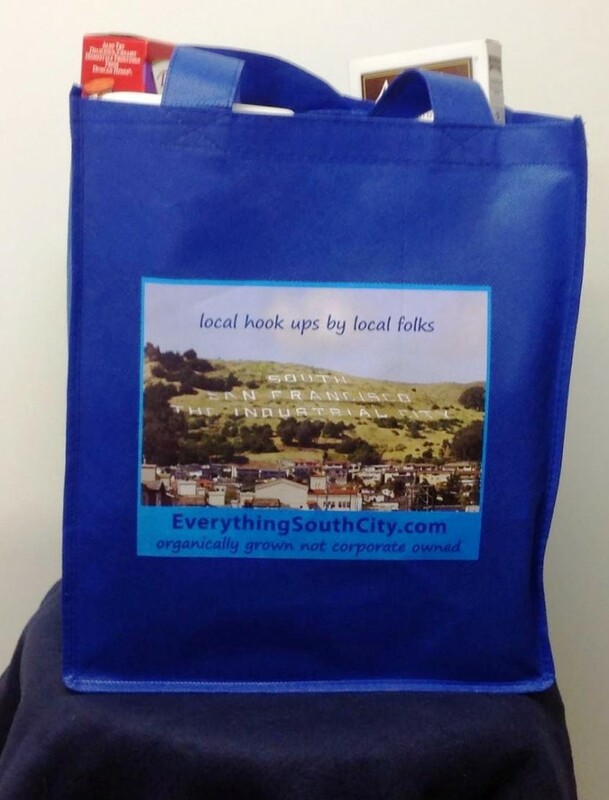 As a thank you to our local readers, Everything South City is offering a FREE shopping bag to those who have subscribed to our weekly digest. Additional bags may be purchased for $3 each. At this time we are not set up for shipping to areas outside of local delivery. Our bags are strong and reliable, just as you’d expect from South City. They are graced with a beautiful photo of our historic Sign Hill captured by our professional award winning photographer Roger Cain. 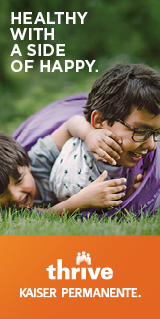 To subscribe to our newsletter simply complete this FORM with your email address. Everything South City respects your privacy and as a good neighbor we do not share or sell any information. On April 22, 2013 the City of South San Francisco, along with San Mateo County, enacted a ban on single use bags with the exception of restaurants. Stores must now charge ten cents for paper bags. To help our neighbors we will be offering our bags as long as supplies last. Be a good neighbor and let those in your circle know that they too can get the latest news and views to their inbox weekly! Thank you and Where can we pick up / purchase a bag at ? How can I give you my address,to I can get one? Thanks! How and where can I get one? Where do we get this free bag and purchase extras? I am all ready receiving this newsletter by email. Am I not already subscribed to the weekly digest? also I would like to know how to receive the bag? Thanks Amanda – please send your South City address to EverythingSouthCity.com so we can compile a list so we can deliver these bags this week. Thanks. Hello I’m wondering how I can get one of these free bags? Sorry for the repetition, but I repeat the previous questions: Where/how can we receive our free bags? I am already subscribed…how do we claim our bag? I subscribe to the newsletter. How do I get the free bag? Where do I get the free bag? Thank you! Now how do we get them? So how do I get my bag? I am piggy backing on the above. No mention on how we get the bag! IT DOESN’T DO ANY GOOD UNLESS YOU TELL US WHERE & HOW THE BAGS WILL BE ISSUED! one to check it out and if its a good size possibly order more. Thanks Everyone!! Apologies for the delay in response – we had our TEAM EVERYTHING SOUTH CITY out on South City High’s track field for the 2 day RELAY FOR LIFE American Cancer Society event. The total event raised over $37,000!! Woo Hoo!! If you can please send your address to EverythingSouthCity@gmail.com we will drop them off this week. And again, thank you for your participation with … everything South City! My link to give adress is not working and do not want to leave adress on public forum..what should I do? can i pick up in store if my name is on it to hold?? I signed up but no mention of where or how to get bags. Is this a scam? Thanks Jo Ann, we rec’d your email with your addy and will be getting bags delivered this week. Thanks. Please email me and I will give you my address. Hi Troy, please email your South City address to EverythingSouthCity@gmail.com so we can include you in our deliveries on our last day tomorrow Friday. Thank you.